I can see Bob Hope The Redbud Tree having a long and healthy future in this corner of the Internet…as well as your property. We had a generous cashier gift us a Christmas ornament one year – admittedly just before Christmas – because it had no price tag. We don’t recall the name of the cashier but certainly would have been open to naming it after them. Our attempts at gardening have gone horribly wrong due to a combination of climate and critters. Protecting them against both scenarios proved too daunting. We have done much better with cacti…which may speak directly to our skill set…or lack thereof. In any event, they thrive within our (indoor) care! and you say your fingers are not green enough? Really, then I wonder what you would call mine. It was entirely and completely beginner’s luck for my poor aloe vera that it survived for all of three months. My friends (who are proud of their green fingers) are shocked that an aloe vera plant actually shriveled and eventually died in my hands. So that is how green my fingers are! Had a good belly laugh and hope Boby Hope grows into a big, strong tree under your care! Hope you’re having a terrific week! Thanks for the laughs! This reminds me of my attempts at growing vegetables and strawberries last year. Most of everything got eaten by slugs. 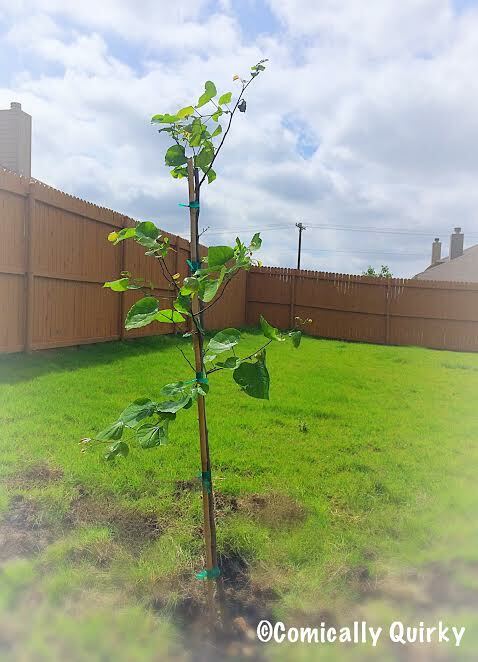 I also tried to plant a Peruvian golden berry, and nothing happened… or so I thought. I put the plant pots outside, and they golden berry decided to grow this spring, when I had to move to another continent and leave it behind. I’ll bet Bob knows where they keep the vodka seeds…. yes my delinquent past is now revealed 😦 One went on a back packing tour and sent his owner post cards from all over the world. Other times gnomes swapped homes with swans or other plaster caste garden oddities. I would see how long before their owners even missed them lol then put them back. Ah the fun we had before technology took over our imaginations! Ah we used to go mud skiing and everything, we had such fun as kids! Bob is the happiest free tree I’ve ever seen. Good job. Maybe you’re more of a gardener than you think you are! You have quite a unique blog! Truly enjoyed this!! Lol, love your quirkiness. Both you and Bob made my cheeks curl in agreement.